Diagnostic error refers to a diagnosis that is missed, incorrect or delayed as detected by subsequent definitive information. They range in severity from near misses, with little or no impact on overall patient outcomes, to serious incidents with significant adverse outcomes for patients. The absence of an accurate diagnosis may lead to delays in initiating the optimal treatment and subsequently increased length of stay and poorer patient outcomes. Diagnosis is a complex cognitive task that requires a high level of knowledge and skill. There are a multitude of system and cognitive factors described, often co-existing, that create an environment ripe for the potential for error to occur. In most cases, the diagnostic process develops over time as symptoms evolve and more information becomes available. This occurs through thorough clinical assessment and the gathering of clinical history and investigation results. Synthesis of the information as it becomes available results in the generation of differential and working diagnoses for which treatment is based. A breakdown can occur at one or more of the complex steps in establishing a diagnosis, representing missed opportunities to arrive at an accurate and timely diagnosis. The provision of oversight, structure and guidance for monitoring and evaluating diagnostic processes. 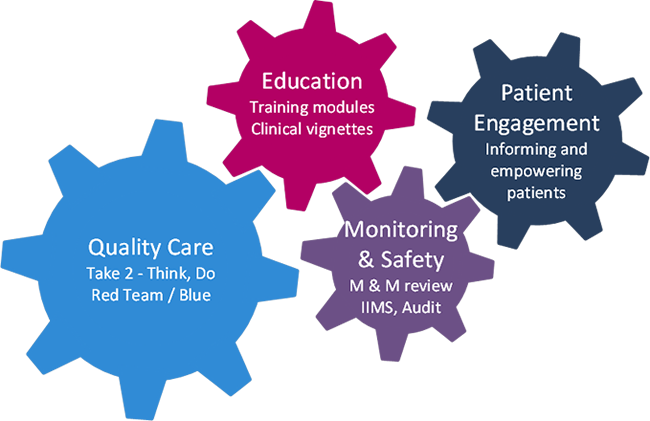 Through a collaborative approach, the project provides a framework to support accurate diagnostic decision-making in complex clinical environments. 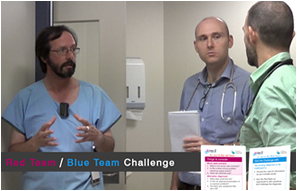 It is designed to improve awareness and recognition of the potential for errors across a broad clinical arena, and reduce the morbidity and mortality associated with missed, incorrect or delayed diagnosis in the NSW Healthcare system.